Trucking Companies Combined Transport, Inc.
Truck Driving Jobs at Combined Transport, Inc.
CDL A OTR Truck Drivers - Earn Up to 60 CPM! 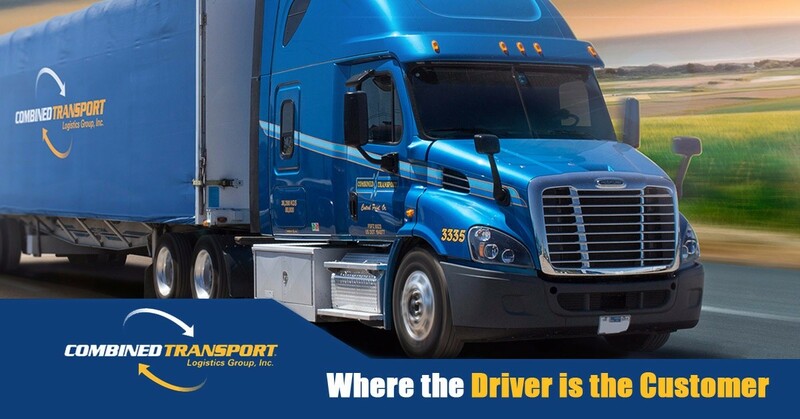 CDL A Company Truck Drivers - Enjoy Excellent Pay and Benefits! The mission of Combined Transport Logistics Group, Inc. is to be a growth-oriented provider of a variety of flatbed, heavy and specialized trucking services, always seeking to become the preferred employer for all our “customers” (drivers) and the preferred transportation provider for all of our shippers. Identify shipper needs and develop programs to satisfy those needs by supplying services having the best possible value. Provide quality and service superior to that of our competitors. Invest in the new product and process developments, personnel, and facilities needed to assure our shippers that Combined Transport, Inc. will respond in a timely and cost-effective manner to their needs. Strive to perform on-time claim-free deliveries. Be the safest trucking company on the road. At Combined Transport, Inc., we are a family of people working together to build a better future for our customers, shippers and ourselves. We’re moving into the future. Apply Now Or Call Today For More Info! Connect with Combined Transport, Inc.